Cross Trainer vs Rower vs Treadmill vs Bike - Which is the best? Do you want to exercise in the comfort of your own home? Do you feel overwhelmed by the plethora of fitness products on the market and don’t know exactly what to choose? Home fitness machines can exercise your body in different ways, offering you low or high impact workouts so you can burn plenty of calories in the process. With their awesome designs, adjustable resistance and built-in programs, these machines will monitor the majority of your stats, like speed, calories, distance, or pace. The high-end products can even keep track of your heart rate or help you build personalized workouts. In the article below, we’ll talk about the main uses of these four fitness machines so you can decide if they fit your needs. We’ll also analyse the main muscle groups they work, making it easier to reach your fitness goals. Cross-trainers are also known as elliptical machines or X-trainers, and they’re stationary machines designed to mimic different activities like climbing stairs, walking and running. The best part about them is that they offer low-impact, safe workouts, though they’re considered weight-bearing machines. But even if this is a low-impact sort of training, you’ll still get all the benefits of cardiovascular workouts. All you have to do is set the intensity according to your fitness level, so that it challenges you. Besides, setting this challenging resistance means you’ll gain more strength, not just tone your muscles. Basically, you don’t just have to choose the best cross trainer on the market, you have to know how to select the difficulty of your workouts to make the most of them. That said, there are various elliptical trainers available, either self-powered or electrical. The first type uses your motions to activate the resistance system, while the second type needs to be plugged in. Either way, you’ll burn plenty of calories. From this perspective, cross-trainers are on par with treadmills. These two machines are also similar in how they work your leg muscles, albeit a cross-trainer is far more silent than a treadmill. You also get more range of motion with a treadmill, but less if you’re using a stationary bike. Regarding the muscles you’ll be using, your legs will do most of the hard work, so your quadriceps, glutes, and calves will get a pretty good workout. However, your biceps, triceps, core and upper back will also be engaged to a moderate degree, particularly if you select the proper resistance. Stationary bicycles are built just like regular bikes, with their saddles, pedals, and handlebars. Unfortunately. you can’t use them as a means of transportation because they don’t have real wheels. But if you want to go for a real bike ride, you can always do your warm-up first on the stationary bike, which is what most of the professional racing cyclists do. 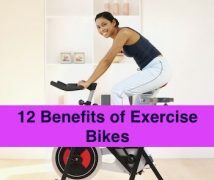 There are different types of exercise bikes, some of which actually connect the pedals to the handlebars, so your upper body can get a generous amount of training as well. These bikes have different resistances too, using magnets or friction devices, so you can increase the level of difficulty according to your needs. You can even pedal backward on some of the best exercise bikes on the market, working out different muscle groups. There are plenty of ways to use exercise bikes, particularly for increasing your fitness level, reaching your goal weight or training for various sporting events. Considering they’re low-impact, easy-on-the-joints machines, you can even use them for physical therapy. You’ll also get quite a good cardiovascular training, improving your cardio-respiratory capacity and decreasing any risk of cardiovascular disease because exercise bikes provide awesome endurance workouts. Basically, you’ll give your muscles a pretty good tone, but you won’t be able to build muscle mass. The main muscle groups you’ll work are the glutes, the hamstrings, the quadriceps and the calves. You’ll also give your abs and lower back a moderate workout considering these have to keep you steady on the bike. Therefore, your arms will have to do some work too, especially if you’re cycling ‘en danseuse’ – without sitting down. What is a Rowing Machine used for? 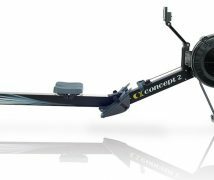 Indoor rowers are built to mimic rowing on water by using a specific type of resistance, which can either be piston or flywheel-based. They’re built with a braking mechanism that’s connected to their footrests via a chain, along with a seat, rail, step and a belt. Unlike the two other fitness machines above, rowers are really famous for exercising your whole body at the same time, not leaving a single muscle group unattended. Except maybe your nose, because even your cheeks and eyes will work really hard: you’ll be making plenty of funny faces on your rower, but that’s a good thing. And since you’ll be using so many muscle groups at once, you’ll be burning more calories which means that you’ll be able to lose weight faster. As such, you’ll also be getting the cardiovascular workout of your dreams, raising your heart rate and keeping it up there for quite some time. That will help you strengthen your heart and lungs, but also help you burn fat. As opposed to the previous two machines above, rowers are the best if you want to build some strength, not just tone your muscles. And you can also do high-intensity interval training on rowers, to combine both the benefits of aerobic and anaerobic training. That’s thanks to their variable resistances that allow you to row faster or slower, depending on your fitness level and stamina. But have no fear, both of those will improve in no-time, and you’ll have the endurance of a God if you choose the best rowing machine for you. We also love rowers because they can deliver killer workouts, but they’re non-weight bearing and low-impact. So you can use a rowing machine for therapeutic purposes too, without putting unnecessary strain on your knees and ankles. Regarding the muscle groups used, you’ll be working your lower back, abs, rhomboids, triceps, deltoids, trapezius muscles, pecs, biceps, and wrists to the max, along with your quads, glutes, hamstrings, hip flexors, and calves. You’ll even work your inner and outer obliques, as well as your inner thighs, but to a moderate degree. 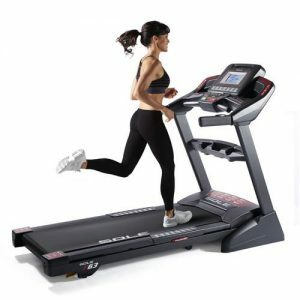 If you love walking, running or climbing and want to do all that in the comfort of your own home, get the best treadmill you can find that fits in your budget. You’re guaranteed to get a hard workout, so hard that they were even used as punishment in hard labor prisons. These machines have a wide moving platform on a conveyor belt that moves towards you, so you have to keep moving at the same speed. The best treadmills have an electric motor, but they’re also heavier and more expensive. You can also get a manual treadmill that’s activated by you walking on it, which is lighter and easier to use, yet not as performing. Either way, treadmills are great for burning calories at a relatively high pace, if you choose the right speed and angle for your purposes. 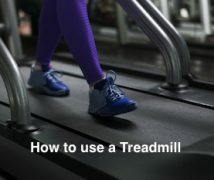 However, at a higher level of difficulty, treadmills can only offer high-impact exercises with quite some impact on your joints, albeit less than running outdoors thanks to their cushioned belts. You’ll benefit from a challenging cardio workout and you can increase your fitness and endurance levels in no time, toning your muscles. So you’ll lose weight, burn calories and burn fat in the high-impact mode. At the same time, you can use your treadmill for therapeutic purposes after surgery if you’re just walking on it. The main muscle groups worked on the treadmill are the hamstrings, quadriceps, and calves, although your glutes will be doing quite a lot of work too. Your core takes care of your posture, keeping you upright, so your abs and lower back aren’t negligible quantities here. However, your upper body won’t have a lot to do, unless you’re using resistance bands or hand weights. We’ve taken you through the characteristics of four different fitness machines that have proved to be very effective, both at gym or home. They offer the benefit of hard workouts, personalised according to your fitness level and precise measurements, to improve your fitness level effectively.